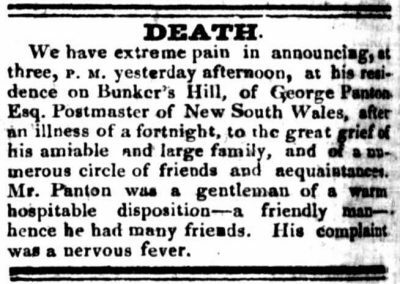 » PANTON, George PANTON, George | Cape Banks Family History Society Inc.
George PANTON was born in Midlothian, Scotland in 1785. 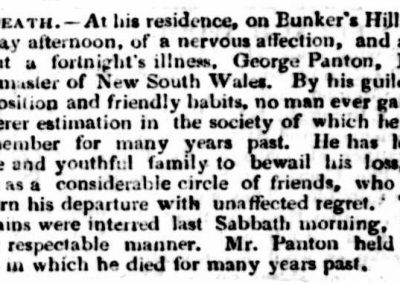 George Panton married Maria KER/KERR (born 1789 at Perthshire, Scotland) in 1810 at Midlothian, Scotland. 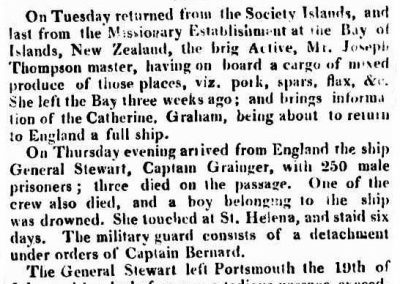 George and Maria PANTON, along with their four children, left Portsmouth, England in July 1818 on the on the “General Stewart”. 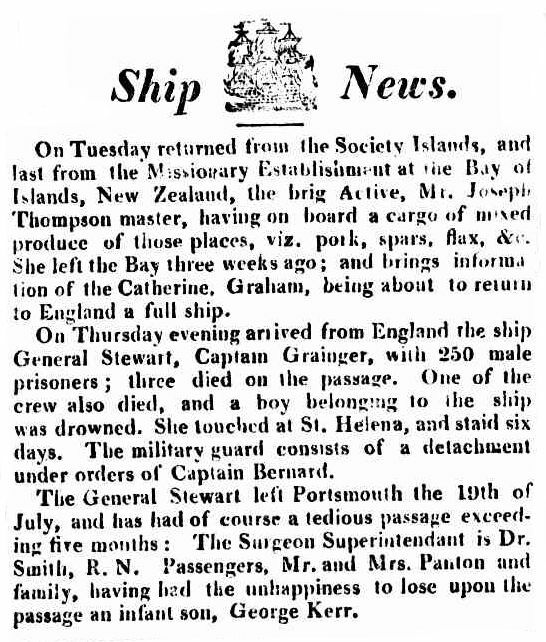 The ship arrived on the 31st December 1818. 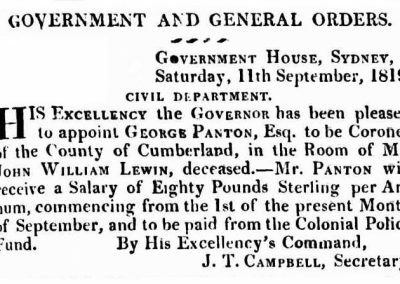 George PANTON was appointed the “Coroner of the County of Cumberland” from 1st September 1819 and was paid 80 pounds sterling from the Colonial Police Fund. 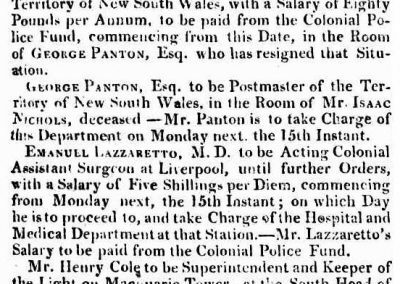 He resigned from that position in November and was then appointed the second “Postmaster of the Territory of New South Wales” from the 15th November 1819, upon the death of Issac NICHOLS. 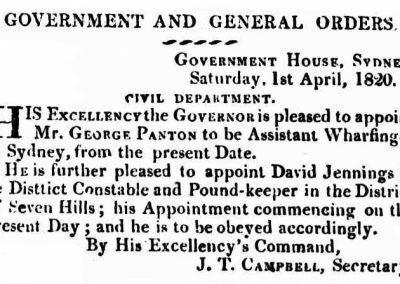 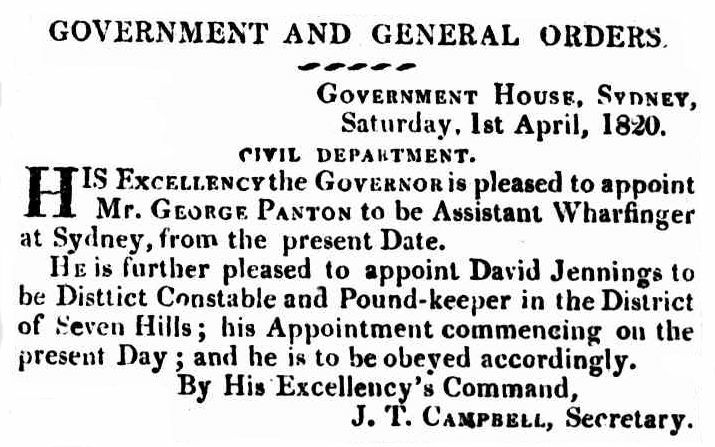 In 1820 George was appointed to be “Assistant Wharfinger”. 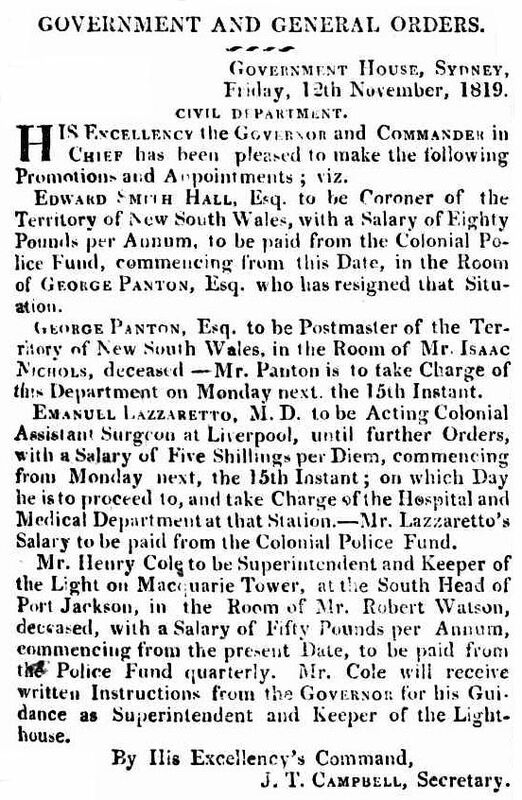 A grant of land was given to George in 1821 for 330 acres at Bringelly. 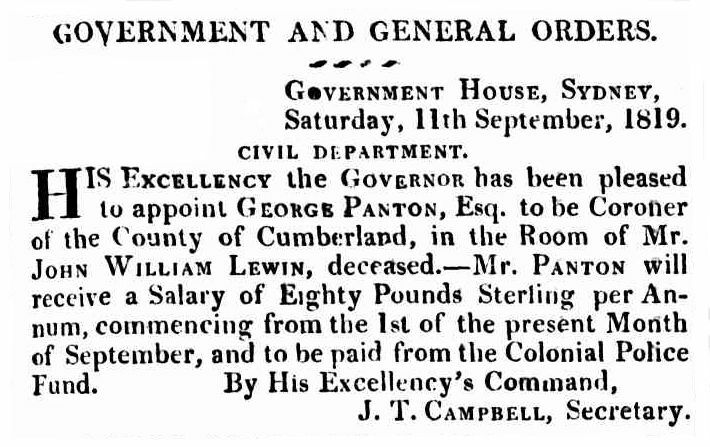 A number of conditions were placed on his grant in that he had to cultivate 30 acres of the land and not sell the land for 5 years. 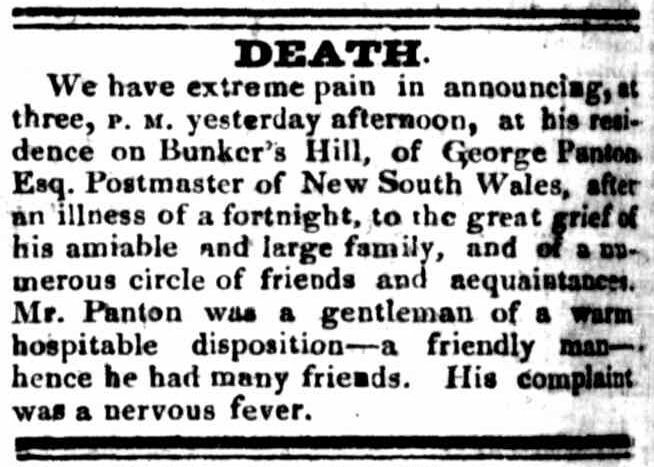 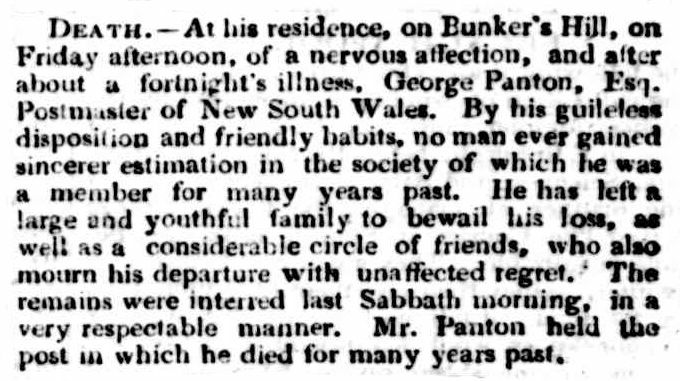 George PANTON died 25th April 1829 after a short illness.